Need a FuN aNd hApPy twist in your decorating? 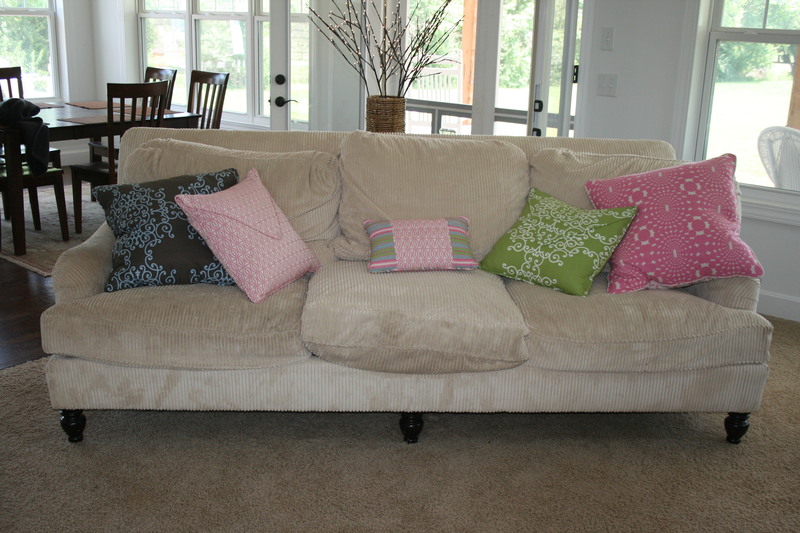 Why not try something as simple as adding some different throw pillows? 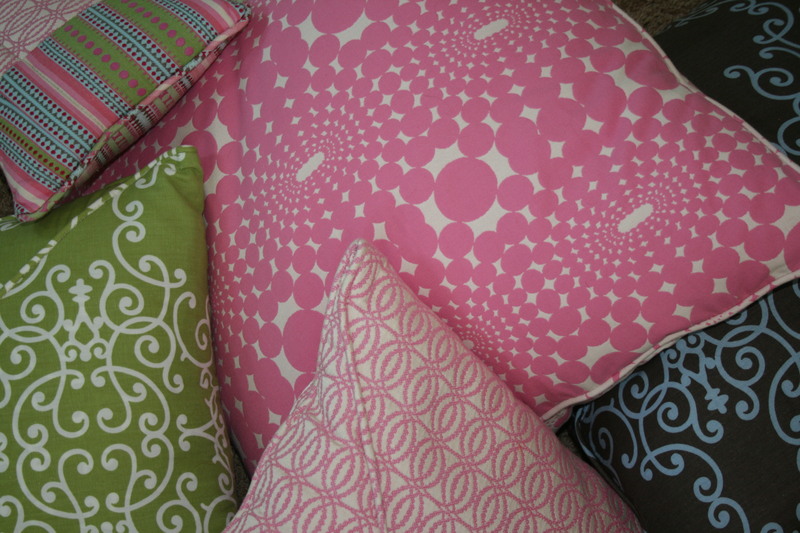 I found some fabric I loved and then had my friend, Kendall Follmer, from KeNdAll’s UpHolSterY make these pillows. I think they turned out FaBuLoUs! PiNk and GrEeN are my two favorite colors! They are my “eYe cAnDy”! Can you tell? These colors just make me HaPpY! Why not find some colors you LoVe and switch things up a bit? No doubt come fall and the holidays I’ll be gravitating towards other CoLorS and TeXtuRes (maybe fur or crocheted), but these pillows go perfectly with SuMmeR and the way it makes me feel! !